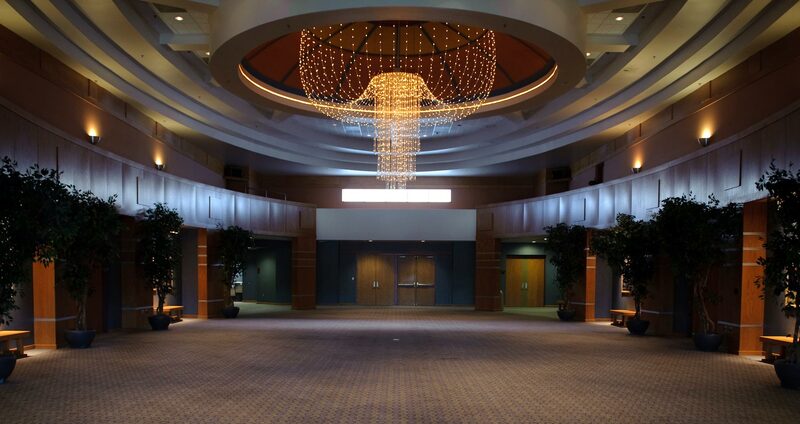 The Grand Hall is a place of hospitality and entertainment. Entrance to the concert hall, drama theatre, and experimental theatre can be gained through this space. It will also serve as a gathering space for receptions with a capacity of 650 people and can accommodate up to 200 for a seated dinner. The Grand Hall will be used for university and community functions, and may be reserved for special events. Endowed through a gift by the Pugh family the Grand Hall is a special gathering place unlike any other in the region. It features an elliptical ceiling with a large light rope chandelier.